Do you want to know how the traditional shipping industry could incorporate digitalisation to improve operation efficiency? Discover how YOU could fill in these gaps! 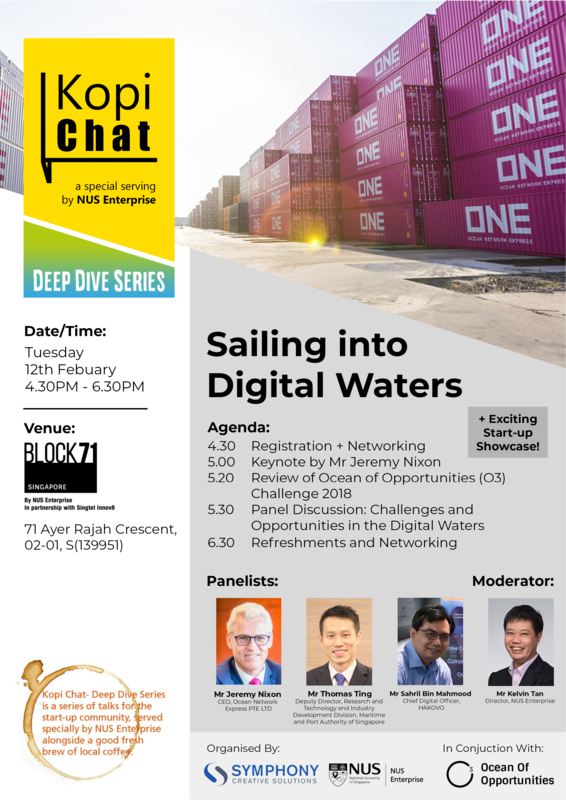 Join in this Kopi Chat Deep Dive session with industry experts who will share more about how they are bringing digitalisation into shipping! You can also be the first to find out more about our plans for the Ocean of Opportunities Innovation Challenge 2019, and hear from previous participants about their experience in taking part.